Alia walked the Lux Golden Rose Awards wearing a frilly gown by Teuta Matoshi Duriqi and while the red on red in theory was a good idea, this appearance was a let down because of the gown itself. Those straps just looked like a kid’s arts and craft project. I picture the gown without it and like it so much more. 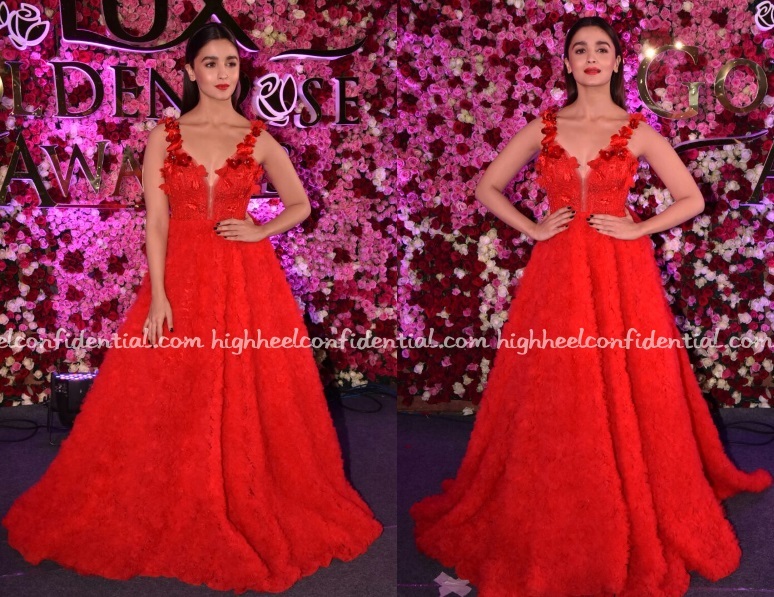 At the We The Women session where Alia interviewed Barkha, the former was seen wearing a Prabal Gurung dress with a Madison jacket. Like her casual but dressy style? Alia attended a Christmas party on Friday evening wearing a Sachin & Babi dress with a customized perspex clutch bearing her last name which going by the clasp neither was an Edie Parker nor an Isharya. We don’t have full-length pics unfortunately but check back later on the clutch ID. The clutch is Klick by RG. 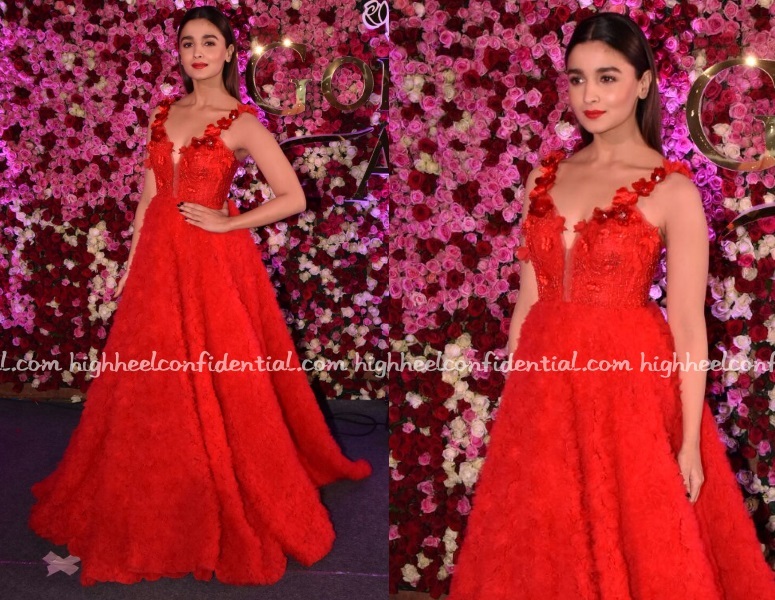 Teaming her black camisole with a sequined skirt from Zara, Alia attended a recent soirée in Mumbai. Wearing her hair back, she rounded out the look with understated make-up, ankle-strap sandals and an Edie Parker clutch. While on the sets of a television show, Alia was photographed wearing Deux A. Tousled hair and a pair of pumps rounded out the actor’s look.